The Vitamin 75 Maximizing Cream contains 75% Vitamin E - and for the month of August it can be yours for the cost of shipping! How so, do you ask? 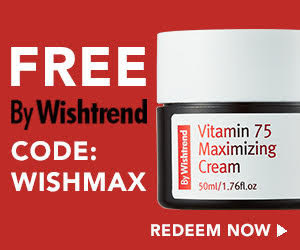 Just add the Vitamin 75 Maximizing Cream to your cart, and enter code WASHMAX at checkout! It's really that easy! 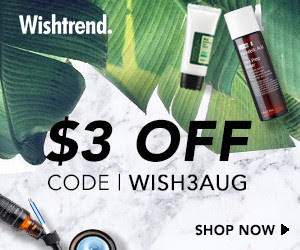 Want to save more on other purchases at Wishtrend this month? Enter code WISH3AUG at checkout and receive $3 off your order - no minimum purchase, but only one code may be used at a time.